The Anderson Auto Group gives careful consideration to requests for charitable contributions. 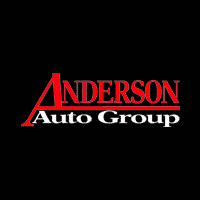 As a leading business entity in our region, the Anderson Auto Group takes pride in its efforts to be responsible corporate citizens. The primary focus of our corporate giving is local. While we may support national causes through local affiliates, our emphasis is on helping local community organizations. It is our desire to help non-profit organizations whose effort benefits the communities where our employees live and work. With few exceptions, all requests for more than $100 must be submitted at least one month in advance of need. The Anderson Automotive Group reviews major funding requests on a quarterly basis. Requests for amounts under $100 will be reviewed on a weekly basis. We realize the need in our area is great, but our resources are limited. To allow for a fair review of our funding requests please complete our online form.